It’s November 2018. We’ve now lived in Shenzhen, China, for more than a year. 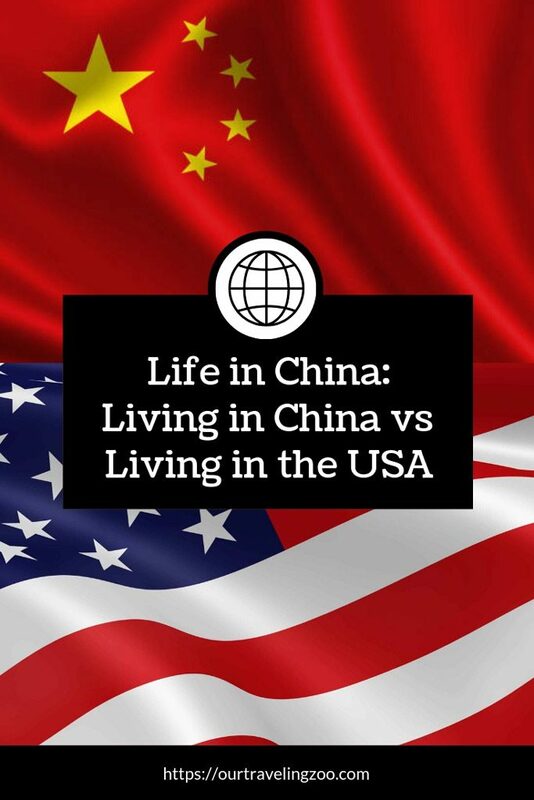 People often ask us, “How does living in China compare to living in the USA?” or “How does teaching in China compare to teaching in the USA?” So, in this installment of Life in China, we will endeavor to answer those questions. We’ll also consider standard of living, air quality, hygiene, diversity, and social life. Let’s get started. First of all, teaching in the USA can be great. It can also be a real challenge. Compared to the Salt Lake City area, my students in China are generally a bit more respectful (though the SLC kids were pretty good), and typically behavior problems are nowhere near as severe as those exhibited at the school in Southwest Georgia where I started my career. Here the biggest challenge tends to be waking up overtired students. As for the work load, in Utah, I taught 8 of 9 periods everyday, and often took work home, too, especially on weekends. Then Jenia would help me finish grading essays and the like, which definitely detracted from family time. The work environment was rewarding but very high-pressure. In comparison, my present school in Shenzhen is really well-balanced. In the last year and a half, I’ve only found it necessary to bring work home twice. Some flexibility is required here, as there can be last-minute changes to the schedule, calendar, and what not, but as long as I am relaxed about that, I find it drastically less stressful to be a teacher in Shenzhen. China takes the win. Next, people often ask about salaries. Shon’s making approximately the same money as he could in the USA as a teacher, give or take (pay varies by state, region, and district, after all). We’re not getting rich by any means. However, when we lived in the Salt Lake area in 2016-17, we were barely able to scrape by. A similar or somewhat higher salary combined with free housing and a significantly lower cost of living makes life in China a win in the financial category. Thus, in terms of pay, we’re bringing home more than we were in the USA. So that’s how living and working in China compares financially to living in the USA. It’s better for us to be in China. We’ve posted about Chinese food before, but people still ask about it a lot. How does eating in China compare to eating in the USA? First off, Chinese food isn’t much like the fare that American Chinese restaurants serve. It’s a whole different ball game, and it requires a willingness to get low and close to your plate or bowl. An ability to use chopsticks also helps, because forks are uncommon (only available at the Western or higher-end Chinese restaurants). The food itself can be tasty, but don’t expect it to be like the aforementioned American Chinese restaurant fare. If you’d like to read about our favorite authentically Chinese foods, click here. The quality of food served varies, of course, just like anywhere else. We’ve had plenty of uninspired grub in the States, as well as lots of good stuff. Sadly, food preparation and hygiene tend to be sketchy here in Shenzhen. The local government does food safety inspections, like in the USA, and restaurants are supposed to post the results visibly. Most seem to have poor results (rated an angry face out of a three face scale featuring the following possibilities: happy, bored, angry). Therefore, the USA takes the win on this one, because restaurants are normally much cleaner and food prep is taken far more seriously. What’s the Standard of Living like in Shenzhen, China? What’s the standard of living in Shenzhen like? Overall, it’s pretty good. We’re accustomed to seeing fancy German and British cars on the road here. Conversely, we’re also accustomed to dodging crummy electric scooters and rickety bicycles on the roads and sidewalks. Indeed, there is a dramatic range of income here in Shenzhen. Generally, though, it appears most of Shenzhen is approximately middle class. As for numbers, Shenzhen’s average income was approximately $1,300 a month back in 2017. Let’s compare that to the Salt Lake City metropolitan area, which had a per-capita income of about $2,400 a month in 2017. If all things were equal, the American city would take the prize for higher income. Of course all things are not equal–it can be much cheaper to live in Shenzhen–so this is not a category that gets a winner. 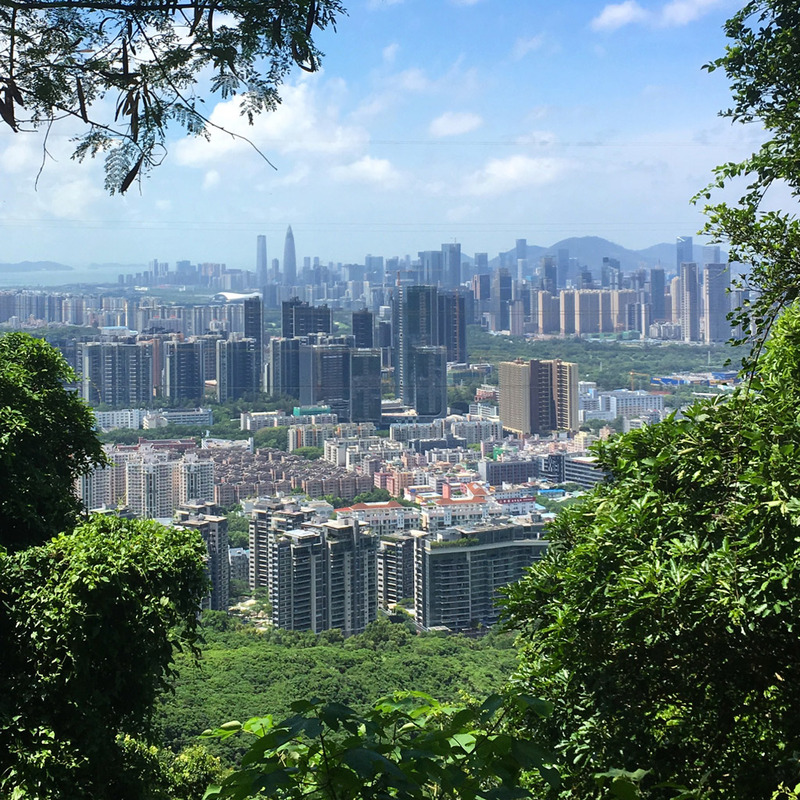 Shenzhen, seen here in a photo taken from Tanglang Mountain, is a sprawling metropolis. It has a transportation infrastructure and road network to rival the best in the world, and it incorporates green space and modern innovations to good effect. How is Shenzhen Air Quality? Inevitably, and for good reason, people ask us about pollution. “How’s the air quality in Shenzhen? Isn’t it very polluted?” It’s true that there are cities in China where the air is atrocious, but Shenzhen isn’t one of them. There are some good reasons for this, including a much-and-deservedly ballyhooed fleet of electric buses and taxis which reduce automobile emissions considerably, besides many electric vehicles on the roads. There are certainly days the Air Quality Index is markedly unhealthy, but overall the air in Shenzhen is reasonable. Compared with living in the Salt Lake valley, Shenzhen gets the win during the middle of winter, because that’s when Salt Lake’s City’s AQI is plain horrible. However, during the rest of the year, SLC has lovely skies and clear air. Is this a draw? 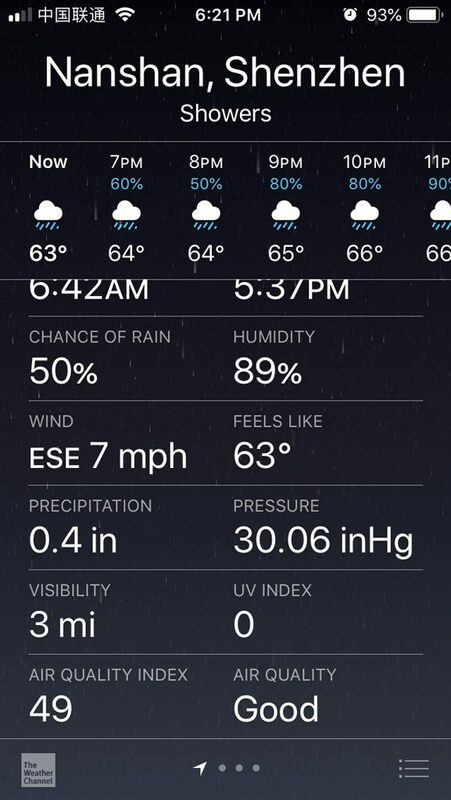 The Weather app on my phone judges the AQI good in Shenzhen more often than not. What about Spitting and Public Hygiene? What about the cringe-inducing stories of Chinese people spitting everywhere and picking their noses constantly? In short, we’ve witnessed it all, and we could write an entire post on the matter. Even so, this happens less in Shenzhen than it does in many other Chinese cities. It also contrasts rather strongly with typical public behavior in the USA. While expectorating is not unheard of in the USA, it is generally considered uncouth and is pretty rare in urban centers. Accordingly, it’s hard to adjust to the noisy hocking and spitting around here. Now, regarding picking noses, let’s be real–doesn’t everyone pick their nose? We’ve got to say Americans are discreet about it, though, and they put tissues to use pretty effectively. Folks here in Shenzhen don’t do it all the time, but it’s definitely more common than in the States. Gotta say the USA takes the cake in this category. We’ve made Chinese friends in Shenzhen, but despite their generosity and friendliness, we cannot claim to be truly close to them. Language can be a barrier, of course, as our Mandarin skills aren’t so great at this point, and most locals likewise don’t have a great grasp of English. Yet, this difficulty isn’t such a contrast to living in the SLC area, where we found it surprisingly difficult to establish meaningful friendships, despite speaking the same language. As for building deep relationships with other expats living in Shenzhen, it’s a bit harder than we expected. This one is a draw. An interesting point of comparison is diversity. China is more diverse in terms of ethnicities than many people in the West might realize. There are 56 Chinese ethnic groups, of which the Han group is by far the majority. Shenzhen is composed of people from all over the country, so that means there is a diverse Chinese population. That said, there isn’t the kind of diversity we have come to expect in the USA. Foreigners in China are just that–foreigners, and they’re relatively few in number. The USA’s big cities are more diverse culturally and ethnically than Shenzhen, China, as there are so many people of different nationalities who have made the USA their home. To wrap it up, we find that living and teaching in China is not half bad. There are certainly some pronounced differences between the USA and China, some of which require a fair bit of patience to deal with–especially those involving hygiene. Overall, we like the cleanliness of the USA, but we love that we are able to live reasonably well on a teacher’s salary here in one of China’s premier cities. We would love to know how your experiences as an expat in China compare. Drop us a comment below! Also, if you’ve got any questions about something we didn’t mention, please ask them below! If you’d like to read more about being an expat in Shenzhen, China, check out the rest of our Life in China series.